Latest News The Hindu Current Affairs. The number of polluted stretches in India’s rivers has increased to 351 from 302 two years ago, and the number of critically polluted stretches — where water quality indicators are the poorest — has gone up to 45 from 34, according to an assessment by the Central Pollution Control Board (CPCB). While the ₹20,000 crore clean-up of the Ganga may be the most visible of the government’s efforts to tackle pollution, the CPCB says several of the river’s stretches — in Bihar and Uttar Pradesh — are actually far less polluted than many rivers in Maharashtra, Assam and Gujarat. These three States account for 117 of the 351 polluted river stretches. 2. 10 cm cube-sized communication satellite will be launched into space by a U.S.-based firm in Nov.
Gurudatta Panda, a 28-year-old from Odisha’s Berhampur, is part of a small team of technocrats that built a satellite for a private satellite design, manufacturing and management company. The eight-member team, including Mr. Panda, from Hyderabad-based Exseed Space Private Limited has constructed 10 cm cube-sized communication satellite, which will be launched into space by the United States-based SpaceX in November. Read more The Hindu Current Affairs 2018 with The Tutors Academy. The late-night dark skies at lit up in bright orange hues as the PSLV-C42 lifted off and vanished into the thick black clouds, carrying two satellites from the United Kingdom – NovaSAR and S1-4 from the first launch pad at the Satish Dhawan Space Centre, SHAR here. 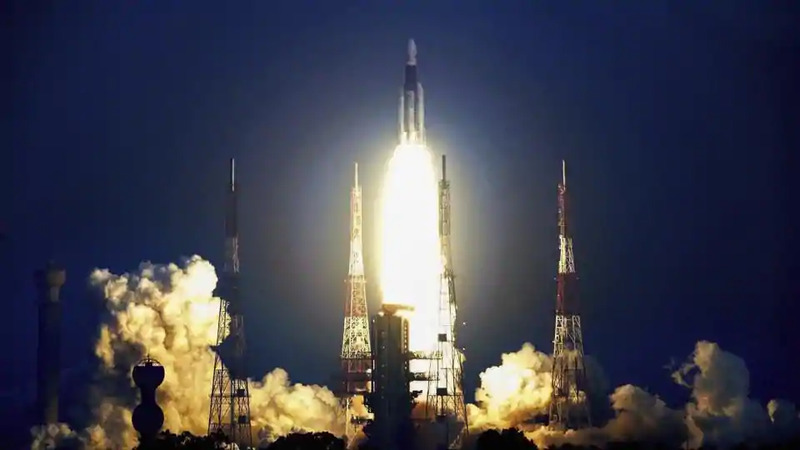 The lightest version of the PSLV, flying in its core-alone version without the six strap-on motors, the PSLV-C-42 rose into the skies at 10.08 p.m. Almost 18 minutes later, the two satellites were placed in the desired orbit by ISRO. This was the 12th such launch of a core-alone version of the PSLV by ISRO. The two satellites, owned by Surrey Satellite Technology Ltd (SSTL) were placed in a circular orbit around the poles, 583 km from Earth. The commercial arm of ISRO, Antrix Corporation earned more than ₹220 crore on this launch. The NovaSAR is a technology demonstration mission designed to test the capabilities of a new low cost S-band SAR platform. It will be used for ship detection and maritime monitoring and also flood monitoring, besides agricultural and forestry applications. The S1-4 will be used for environment monitoring, urban management, and tackling disasters. Outlining the road map for ISRO, Mr. Sivan said the next six months will see 18 missions – 10 satellite missions and 8 launch vehicle missions. Among the slew of launches scheduled over the next few months, the much-awaited and delayed, India’s second lunar mission, Chandrayaan-2 finally has a launch window. The National Institute of Mental Health and Neuro Sciences (NIMHANS), Bengaluru, will run a programme for Tamil Nadu policemen to combat stress. The State government recently sanctioned ₹10 crore for the programme. Union HRD Minister Prakash Javadekar on Sunday inaugurated a network of 3,404 Test Practice Centres spread across the country to help students familiarise with the pattern of competitive exams to be conducted by the newly established National Testing Agency. This refers to the belief that the reach of various cognitive processes of the human brain can extend beyond just the skull and the body. Accordingly, the thoughts and other functions of the brain can be influenced by not just factors that lie within the body but also the various other factors that lie beyond the realm of the body. The proponents of the extended mind thesis thus believe that there is no clear demarcation between the human mind and the rest of the world. The idea was proposed by philosophers Andy Clark and David Chalmers in their paper, The Extended Mind. Strains of the Vande Mataram blended with Amir Khusro’s poetry in the the ancient Uzbek city of Shakhrisabz, as an Indian artiste won top honours at the first- of-its-kind International ‘Maqom’ music festival. Maqom, the oriental system of music that is enhanced by string and percussion instruments across Asia, is quite different from the classical Hindustani “Thaat” system, but the Uzbek audience voted with its hands, clapping and cheering for Ustad Iqbal Ahmed Khan and accompanying members of the Dilli (Delhi) gharana. Mr. Khan was awarded amongst 160 participants from more than 70 countries at the Maqom festival, including groups from Turkey and Israel, South Korea and Japan. A group of qawwals from Pakistan led by Asif Ali Khan also drew cheering crowds that joined in the chorus during their rendition of the ever-popular Sufi “Allah hoo”. The festival, initiated by Uzbekistan’s President Shavkat Mirizoyev, is as much a cultural exchange, as part of the President’s ambitious plans to draw together strings from across the region, say officials. Noting that ₹12,000 crore of the Members of Parliament Local Area Development Scheme (MPLADS) funds remains unspent, the Central Information Commission (CIC) has asked the Lok Sabha Speaker and the Rajya Sabha Chairman to come out with a legal framework to ensure its transparency and hold parliamentarians and political parties accountable for their obligations under the scheme. The MPLADS allots ₹5 crore per year to each Member of Parliament (MP) to be spent on projects of their choice in their constituency. The scheme is funded and administered through the Union Ministry of Statistics and Programme Implementation (MoSPI). Projects are to be recommended to and implemented by the district-level administration. 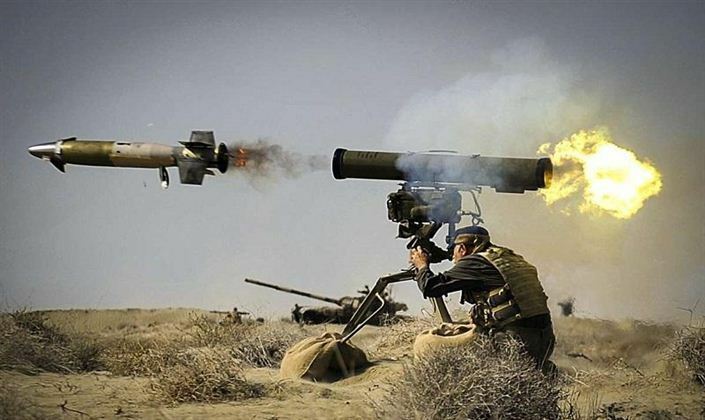 An indigenously developed Man Portable Anti-Tank Guided Missile (MPATGM) was successfully flight tested for the second time from Ahmednagar test range on Sunday. It has been developed by the Defence Research and Development Organisation (DRDO). “All the mission objectives have been met. The two missions on September 15 and 16 have been successfully flight tested for different ranges, including the maximum range capability,” the DRDO said in a statement. This low-weight MPATGM will complement the Spike Anti-Tank Guided Missile to be procured from Israel. Defence Minister Nirmala Sitharaman congratulated the DRDO team, the Army and associated industries on their success. Former Union Petroleum Minister Satya Prakash Malaviya, 84, died at a private hospital in New Delhi early on Sunday. He was suffering from prostate cancer. He was born at Malviyanagar and was jailed during the Emergency. Mr. Malaviya was Petroleum Minister in the Chandra Shekhar government at the Centre. He also served as Environment Minister in Uttar Pradesh. Before joining the Congress, he was with the Praja Socialist Party. Walmart paid ₹7,439 crore in tax on payments it made to buy out shares of 10 major shareholders of Flipkart but has not yet done so for another 34 who exited the Indian e-commerce company in the $16 billion deal, tax officials said. As many as 44 shareholders of Flipkart, including SoftBank, had sold their holdings to Walmart. “Of the 44 shareholders in Flipkart who have sold shares, Walmart has deposited taxes for only 10. 14. A brave act by Tamim! As Mustafizur Rahman joined Mushfiqur Rahim in the middle after the fall of the eighth wicket on Saturday, everyone thought Sri Lanka was just a wicket away from winding up the Bangladesh innings. News had trickled out that Tamim Iqbal, hit on the left wrist in the second over, had suffered a fracture and was virtually ruled out of action for six weeks. Five overs hence, Mustafizur threw his wicket away with 19 balls remaining in the match and Bangladesh on 229 for nine. Tamim, with a heavily strapped left hand and four of his five fingers, barring the thumb, popping out of the gloves, not only walked out to join Mushfiqur, but also negotiated the last ball of the 47th over with one hand. ASIA Cup is being played in UAE. 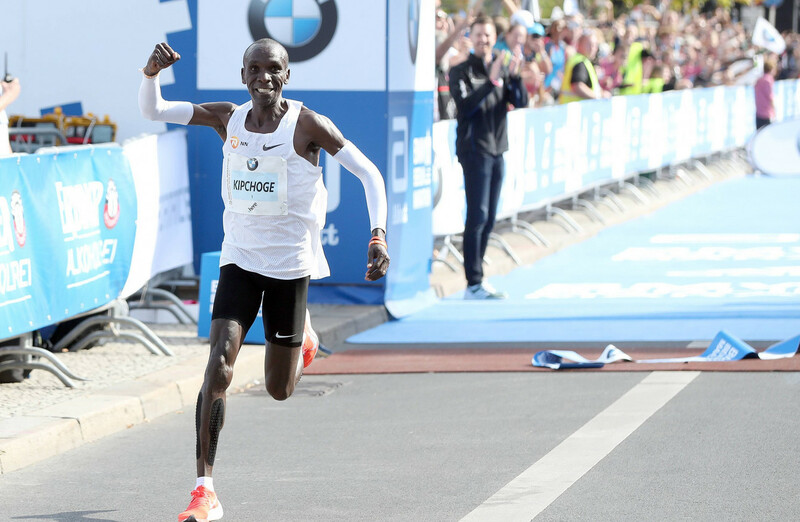 Kenyan Eliud Kipchoge set a new marathon world record in on Sunday, smashing the previous best as he clocked 2hr 1min 39sec. The 33-year-old Olympic champion, initially aided by pacemakers in the 42.195km race, took 1min 18sec off the previous best set four years ago by Dennis Kimetto. Crack all the competitive exams NDA/CDS with The Tutors Academy, and Get daily The Hindu Current Affairs in English. Britain’s Lewis Hamilton eased to victory from pole at the Grand Prix on Sunday as the Mercedes driver extended his championship lead over Ferrari’s Sebastian Vettel to 40 points with six rounds remaining. Hamilton won this race from the third row a year ago when Vettel, Verstappen and Kimi Raikkonen collided on the opening lap but there was no repeat of such drama this time after the drivers got off to a clean start at the head of the field. The results: 1. Lewis Hamilton (Mercedes) 1hr 51min 11.611sec, 2. Max Verstappen (Red Bull) plus 8.961s, 3. Sebastian Vettel (Ferrari) 39.945, 4. Valtteri Bottas (Mercedes) 51.930, 5. Kimi Raikkonen (Ferrari) 53.001, 6. Daniel Ricciardo (Red Bull) 53.982, 7. Fernando Alonso (McLaren) 1:43.011s, 8. Carlos Sainz Jr (Renault) 1 lap, 9. Charles Leclerc (Sauber) 1 lap, 10. Nico Hulkenberg (Renault) 1 lap, 11. Marcus Ericsson (Sauber) 1 lap, 12. Stoffel Vandoorne (McLaren) 1 lap, 13. Romain Grosjean (Haas) 1 lap, 14. Pierre Gasly (Toro Rosso) 1 lap, 15. Lance Stroll (Williams) 1 lap, 16. Sergio Perez (Force India) 1 lap, 17. Brendon Hartley (Toro Rosso) 1 lap, 18. Kevin Magnussen (Haas) 2 laps, 19. Sergey Sirotkin (Williams) 2 laps. Did not finish: Esteban Ocon (Force India) retired after 1 lap. Sinha was among the six names recommended by the award committee headed by Justice (Retd) Mukul Mudgal. Among his prominent students were Raman Lamba, Manoj Prabhakar and Ashish Nehra. Sinha was also the chief coach of the national women’s cricket team for a while. Among the others recommended for the award were Clarence Lobo (hockey), C.A. Kuttappa (boxing) — both members of the coaching staff with the respective National teams — Jeevan Sharma (judo) and Vijay Sharma (weightlifting). Dronacharya: Tarak Sinha (cricket), Clarence Lobo (hockey), Vijay Sharma (weightlifting), Jeevan Sharma (judo), C.A. Kuttappa (boxing), and Srinivas Rao (table tennis). Dhyan Chand: Bharat Chetri (hockey), Satyadev (archery), Dadu Chougule (wrestling), and Bobby Aloysius (athletics). Get More knowledge for competitive exams with The Tutors Academy, The Hindu Current Affairs 2018. Five-time World champion M.C. Mary Kom (48kg) clinched her third gold medal of the year on Saturday, while Jyoti Gulia (51kg) picked up the country’s lone gold in the youth category of the Silesian Open boxing tournament for women in Gliwice, Poland. India’s junior boxers also performed exceptionally well to claim 13 medals, six of them gold, while senior pro L. Sarita Devi (60kg) ended with a bronze. Todays, The Hindu Current Affairs. Purav Raja and Rameez Junaid of Australia justified their top billing with a 7-6(4), 4-6, [10-7] victory over second seeds Timur Khabibulin of Kazakhstan and Ukraine’s Vladyslav Manafov in the $75,000 Challenger on Sunday. It was the 32-year-old Purav’s first title of the season. He has bagged 14 Challenger titles with a variety of partners, apart from the two ATP crowns in Bogota and Los Cabos in Divij Sharan’s company. Japan’s Kento Momota outgunned Thai rival Khosit Phetpradab 21-14, 21-11 in a one-sided final to capture the Japan Open badminton title on Sunday. The 24-year-old sank to his knees after a towering smash completed a comfortable win, kissing the Japanese badge on his shirt as he took another step towards redemption following a gambling scandal that threatened to ruin his career. Meaning – Painful or laborious effort. The Hindu Current Affairs 2018, Study more for competitive exams and prepare for NDA, CDS, Airforce, and Navy with The Tutors Academy. Get Daily The Hindu Current Affairs in English.